With the hectic pace of life these days many hunters need to maximize their time afield. Even if we could hunt whenever we would like, you still want to make sure the odds are in your favor. If the rut is still happening your chances are good anytime, but following are the three best late season times/conditions to concentrate your efforts when after a mature buck. Watch the barometer. Better yet, watch the weather because if you wait for the barometer to move, you’re likely too late. Whitetails move more when the barometer is changing severely, or when it’s high and steady – especially for several days in a row. Typically these barometer fluctuations occur on the leading periphery or tail side of a weather front. The idea is to anticipate when these fronts will hit your area and be in your stand when they do. After a severe storm. This relates greatly to number one, but gets its own number because of its significance. The later it gets into the hunting season the more this holds true. 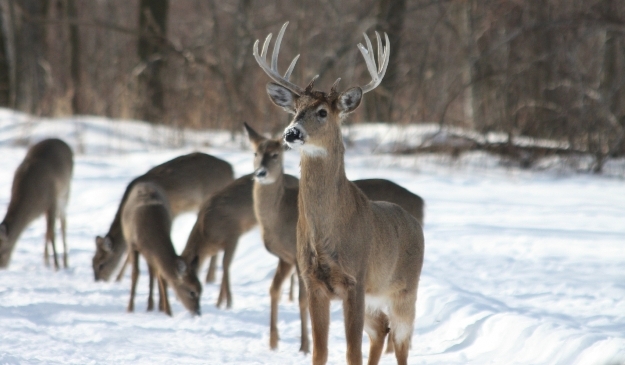 Storms that include heavy snow and high winds can cause whitetails to stay bedding during the event – sometimes for days. When the weather breaks it can seem as if “God turned on the whitetail spigot!” Since they have remained bedded during the storm their need to feed when it breaks is that much greater. This is true wherever whitetails exist, but can be especially evident during blizzards in the north. Wind breaks or major wind changes. Since whitetails use their sense of smell as their main way to detect danger, you can imagine they would be very nervous if they no longer could. This doesn’t mean you shouldn’t go hunting if the wind is blowing hard, because whitetails may still move during a wind, and it’s easy for hunters to play a straight steady wind, but for the most part whitetails prefer low, steady winds or a breeze that is barely blowing. Whenever heavy winds break, whitetails move more. A major wind direction change can also cause whitetails to move. They’re always using the breeze to their advantage, so if the wind changes and it’s no longer to their benefit, they will often reposition. These are times we want to anticipate. Wind maps can be seen on the Weather Channel and www.weather.com, or it can be as easy as downloading Mossy Oak’s ScoutLook hunting/weather app for your smart-phone. The wind dropping can also be a common consequence of the sun going down in the evening. A storm seems to overpower this event, but as a normal, decent day draws to a close oftentimes daytime winds subside. This happens because the ground starts to cool when it’s no longer receiving heat from the sun. As the layer of cooler, heavier ground-hugging air grows deeper, the winds die away. When the sun rises the next morning, the ground heats and winds above mix back down to the surface and the ground-level winds begin again. 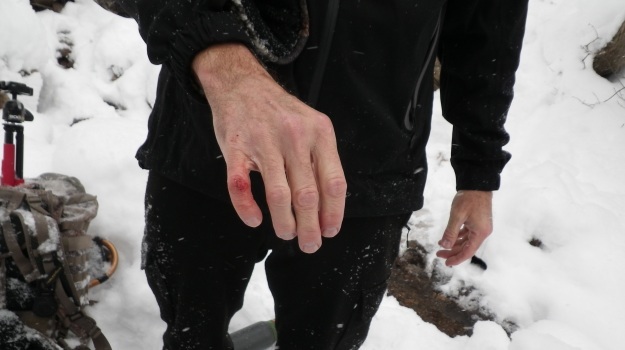 Winter hit hard and early in the Rocky Mountains this year. Late season hunts were all done in bitter conditions, proving again, that if you're gonna be in the chase, you better be prepared. The pursuit of our outdoor obsessions should always be done with a respect for the mountains we climb and the woods we hike through. Dr. Bronson Strickland is the co-director of the MSU Deer Lab and is a wildlife specialist. 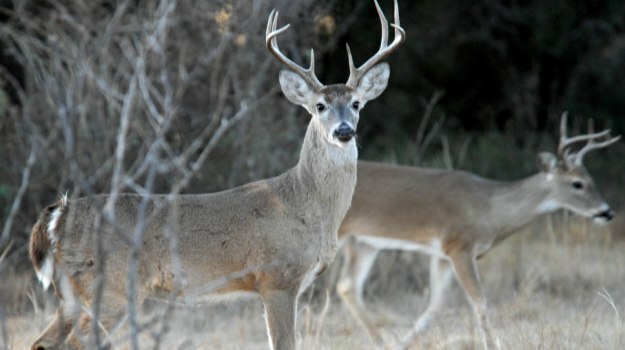 He shares his insight from years of research on the whitetail deer and deer movement. Most everyone’s turkey season’s are winding down and it is a popular time of the season for many guys to get out there and fire up the tractor and bush-hog to cut roads, fields, or boundary lines that need trimming. Find out why building your own flushing bar can help your deer and turkey populations. Twenty years of research, including 35,000 hunter days and statistics from the National Weather Service about the weather conditions on both morning and afternoon hunts, brings us all startling new information about when deer move.